Let's Rock Leeds is an 80's family friendly festival which has been running since 2014, . 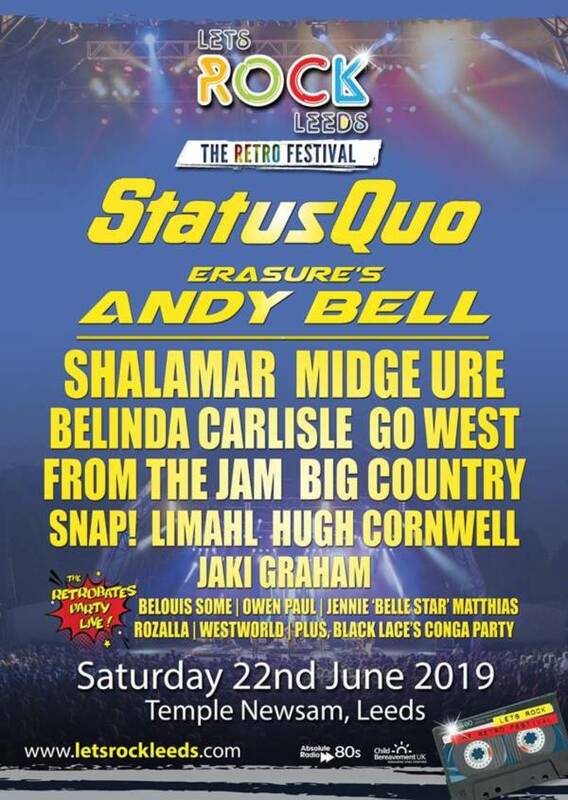 The festival is a celebration of chart friendly bands of the 1980's. Let's Rock Leeds isn't just a celebration of 80's music, it also celebrates the decade, with festival goers encouraged to wear period fancy dress while sampling an eighties cocktail.